Its 2.a.m. and you are putting the finishing touches on a very important document you have been working on. You have noticed that the last couple of evenings, your laptop has been making loud humming sounds. The first time you wrote it off, the second time you simply shut the computer down, now it is so loud it almost sounds as if there is a lawnmower stuck inside your computer. Your wife can’t sleep, the dog can’t sleep, and now you can’t sleep because you are wondering what on earth is happening to your precious laptop. While laptops are certainly smaller and more mobile than their desktop cousins, they are still generally designed and structured in the same manner. As a result, these parts are much smaller and clumped together. Because of this, you have to take extra precautions to ensure the components stay healthy. The loud, humming sound you are hearing is more than likely the fan. The fan is responsible for cooling down the computer. Just like a car or even a person, everything runs smoother and more efficiently when they are cool. Due to the poor overall ventilation systems of computers, they have the tendency to run warmer than they should. This leads to slow performance, overworked hard drives, and processors that are pushed to the limit. -Usually if your fan is making such loud, lawnmower-like sounds it means that is has either already failed, or definitely on its way out. The best remedy would be compressed air cans that you see in stores such as Staples and Radio shack. These cans of air are useful in keeping the vest clear of any dust built up. A good flow of air will allow the fan to work the way it was designed and lower stress on the internal components. -In addition to fans, laptop coolers are sold and they can help take some of the burden off the fan. Basically, they are little pads that you place your laptop on that will help to cool it down. -Turning the computer completely off when not in use instead of Sleep mode will help give the fan some rest. The fan is one of the most critical, yet highly ignored, elements of a laptop. 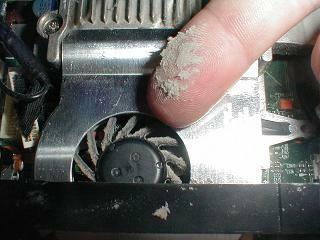 Poor ventilation and excessive heat can have extremely adverse effects on a computer and its performance. Keeping it cool, removing dust, and shutting it down when necessary will preserve fan damage. 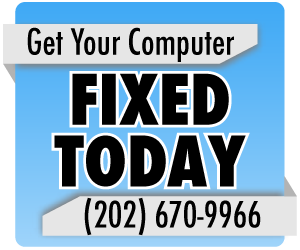 If the fan does become damaged and starts making those loud whirring sounds, it may be time to contact a computer repair company who can send out a technician to replace the fan.